Current representative: The current representative for the 105th District is Rep. Triston Cole (R-Mancelona). The district includes Antrim, Otsego, Charlevoix, Montmorency and Oscoda counties. According to the House Republicans, Cole is vice chair of the House Agriculture Committee and is a member of the Energy Policy, Judiciary, Tourism and Outdoor Recreation, and Transportation and Infrastructure committees. He was first elected to the House in 2014. A map of the 105th District is available here. 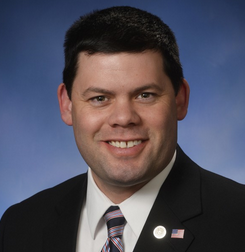 Rep. Cole raises money through a candidate committee, Friends of Triston Cole, and a leadership committee, the T Cole Leadership Fund. He's also connected to an administrative account, the Cole Adminsitrative Fund, which doesn't have to disclose its donors.